after taking much of the summer off, i’m back to cooking and blogging! i meant to make a grand entrance in early fall and wow you with all my fabulous autumnal recipes, but soon realized that i had a stack of tested recipes with no pictures to accompany them. i don’t know about you, but nothing bugs me more than reading about cooking and food with no pictures to look at. i love you all too much to have put you through that torture, so i am slowly working through my stack of culinary gems and snapping away as i cook. fall is not only my favorite season because i can finally wear my boots and scarves again… i also love that the cool crisp air and bulky sweaters allow me to eat pasta and stews with reckless abandon! waistline, shmaistline! and when i think about fall pastas, gnocchi is the first one that springs to mind. it slowly shows up on the menus of our favorite restaurants in all its glorious forms, but making it at home can be a bit daunting for the home cook. traditional potato gnocchi, with all of its steps and temperamental ways, can trip up even the most seasoned chef. my ricotta gnocchi recipe is just the thing you need to look like a pro without breaking a sweat. set a strainer lined with a couple layers of cheese cloth over a bowl and strain the ricotta for an hour in the fridge or over-night. 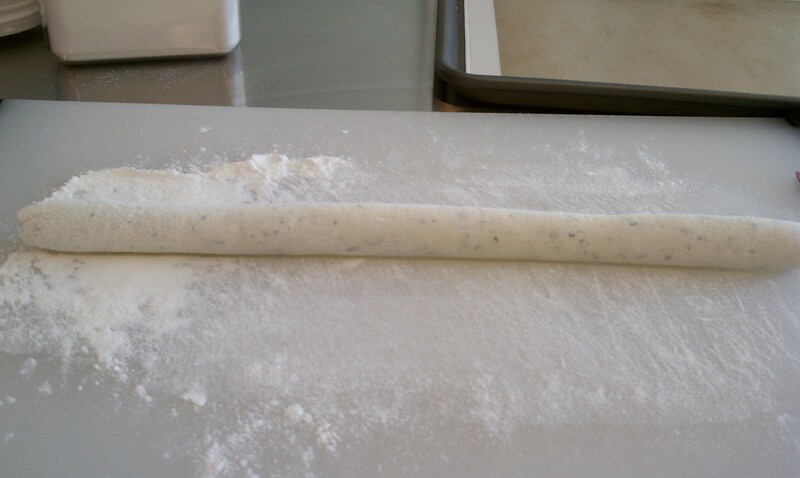 on a floured cutting board, roll about a fourth of the dough into a thick rope, around 3/4-inch thick. Using a sharp knife, cut the log into 3/4″ pieces. 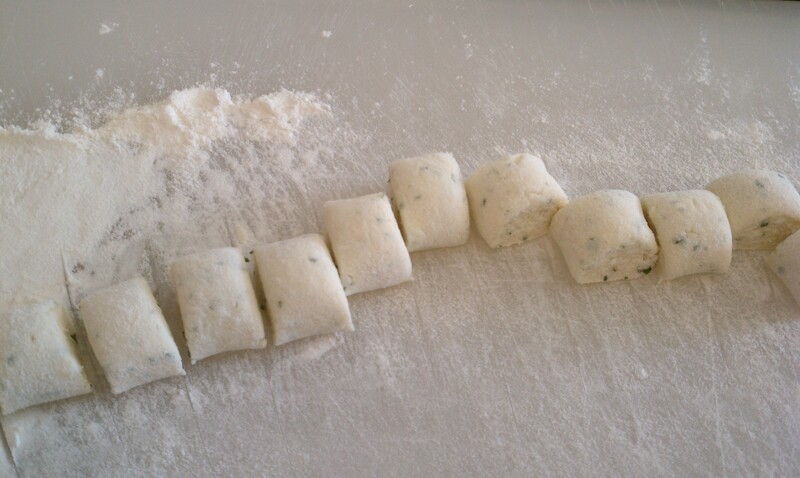 roll each gnocchi on the back of a fork with your thumb using gentle pressure and transfer them to the baking sheet. 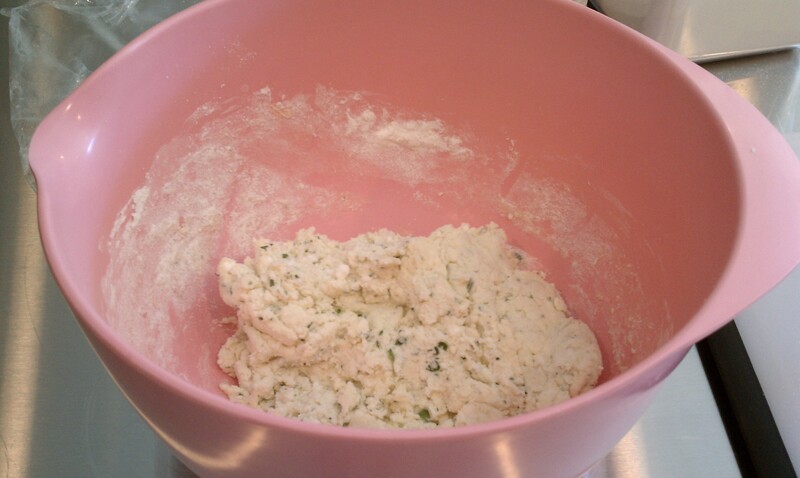 repeat with the rest of the dough and then transfer the baking sheet to the freezer. 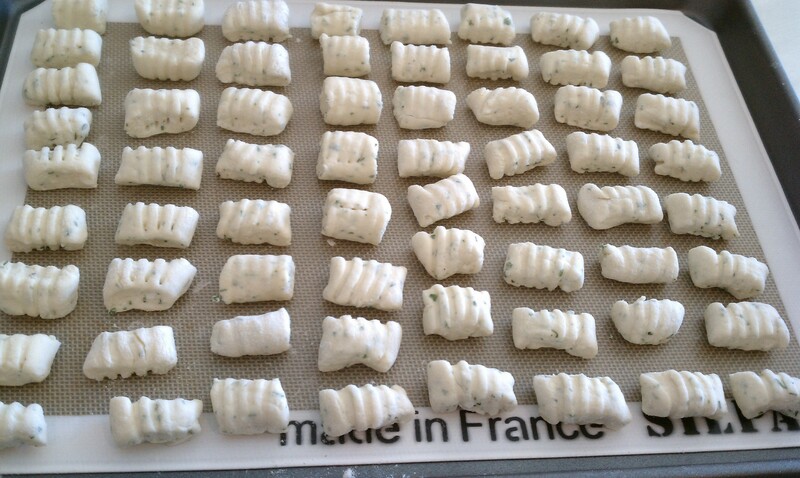 freeze until each gnocchi is individually frozen*. at this point you can put the gnocchi into a freezer bag and cook later (they will keep for about 1 month) or drop them into a large pot of boiling salted water and boil until they float to the the top. strain the gnocchi and add them directly to whatever sauce you plan to use**. *i have found that freezing the gnocchi first produces a much better little dumpling and they never fall apart. 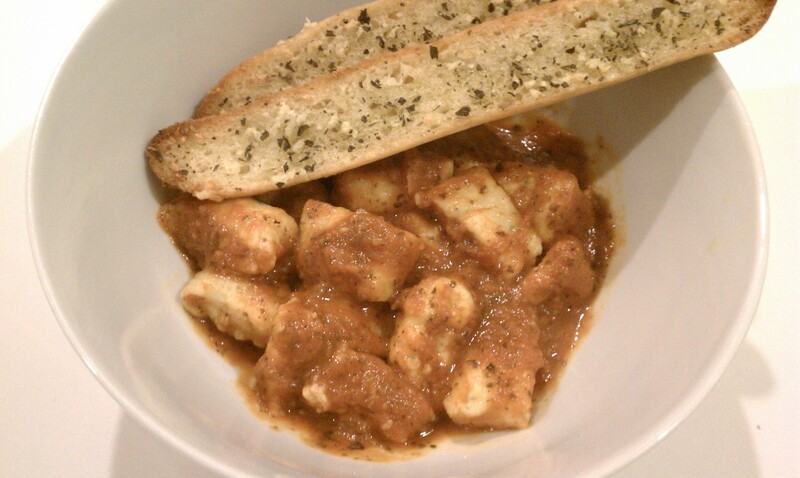 **i used marinara for my gnocchi, but a simple butter and sage sauce works great too. This entry was posted in cheese, Pasta, Recipes. Bookmark the permalink. I think I should try ricotta gnocchi. i’ve made the normal variety, but never with ricotta, it must make it irresistible. Thank you for the tip about freezing the gnocchi to keep them together. They look beautiful.